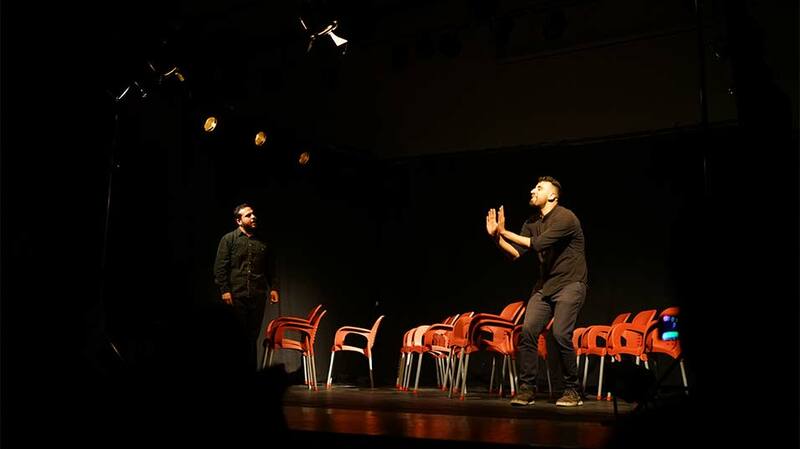 Students explored the concepts of identity, nationality, and immigration in a comedy play titled “London:Jenin,” organized by Birzeit University’s Deanship of Student Affairs and The Freedom Theatre, on Saturday, March 16, 2019. 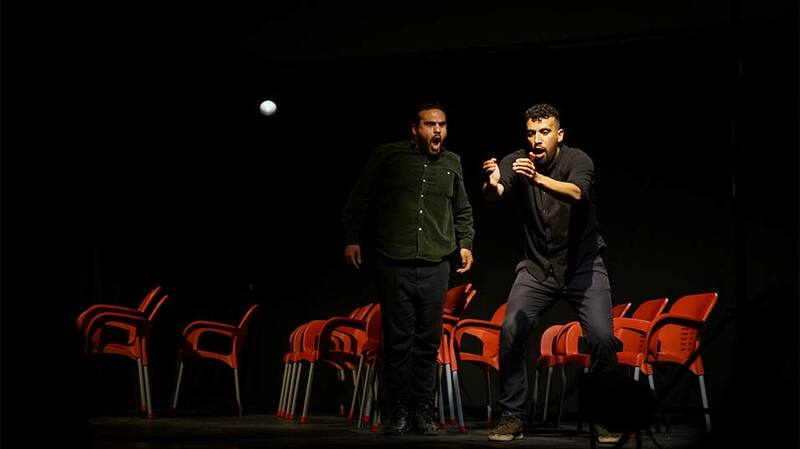 In the play, directed by Khawla Ibrahim, Faisal Abualheja and Alaa Shehada discuss their conflicting thoughts on immigration and Palestinian identity in a UK-based immigration office. They consider the upsides of moving to Britain where they expect to experience luxury and freedom − but something keeps pulling them back to their home country: a sense of belonging, their background and identities, and the rich history of their nation. This struggle over the decision whether to move to a foreign country or return to the country that represents one’s roots were tackled realistically but with a great sense of humor that reverberated well with the audience, reminding them of the small and large issues that prompt Palestinians to remain in their homeland.